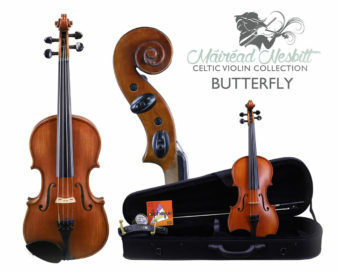 The Celtic Dawn Model in the Máiréad Nesbitt Celtic Violin Collection is designed to fulfill the needs of the most advanced violinist. 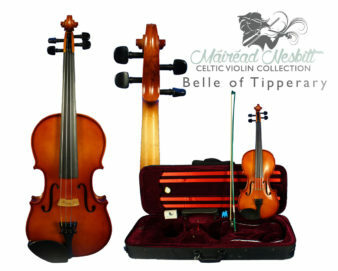 This particular instrument is closest to Máiréad herself, as it’s the most similar to her violin which she’s been playing for most of her career. 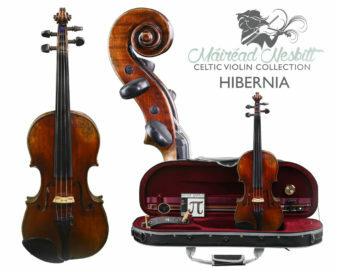 The instrument is expertly handcrafted in a workshop in Prague, and beautifully hand rubbed with an antique oil varnish. 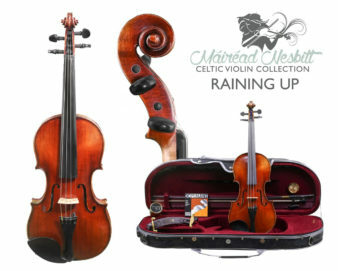 The instrument is constructed with a highly seasoned fine vertical grained European spruce top, a highly seasoned European figured flamed maple back and sides and a figured maple neck and scroll. 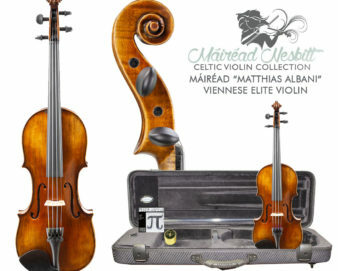 The instrument is assembled with seasoned ebony fittings and tailpiece, one Wittner E-String adjustor, and a seasoned artist Aubert maple Bridge. 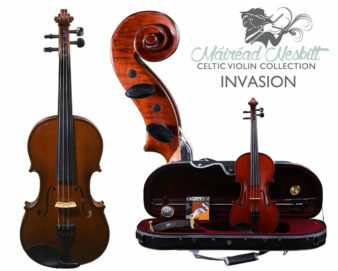 The instrument features Thomastik Peter Infield strings offering a wide dynamic range, intense and brilliant colorization, and quick response. 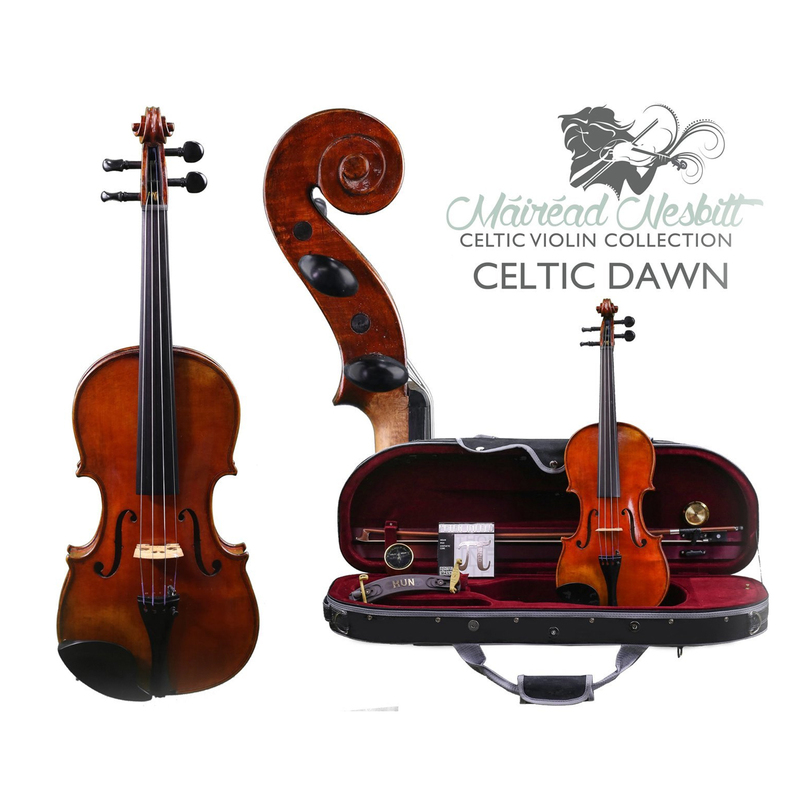 The Celtic Dawn Violin includes a protective deluxe wood shell oblong case with 4 bow holders; a German made Dofler bow, Kolstein rosin, a Kun violin shoulder rest and a Tourte violin mute.